the dust has settled down, your foreclosure report will be sticking its nose in your credit record for the next 7 to 10 years. Nothing matches the agony and humiliation foreclosure brings to you and your family. However, it does have to turn out this way. You can stop foreclosure on its tracks. To prove to you how possible this is, here are 7 strategies to avoid and stop foreclosure before it draws your name into the deeper end of financial crisis. This strategy is the darling of many lenders. Since their business is money, you can expect to stop foreclosure by coming up with a repayment plan. Here the lender will agree to add the unpaid amount to your current monthly installments until it is all paid. Once your arrears are settled, the cloud of foreclosure is gone for good unless you hit a payment snag once more. When you agreed to certain terms of your mortgage, your income could take up all the obligations. You did not foresee a job loss, critical illness or an acute decrease in your income. It is natural that you will struggle to raise the amount for your mortgage with a decreased salary. In such a scenario, you can opt for mortgage modification. Most often, the payment period is extended and your monthly installments are significantly reduced. It is a smart strategy to save you the blushes of losing your home in the middle of a financial crisis. should have had a temporary financial impediment. Two, proof of an outstanding credit score before the setback. Three and finally, tangible proof that the impediment is behind you and you can now support your mortgage installments. One more thing, you should be prepared to pay higher interest rates for this to be your get away from a looming foreclosure. You should, therefore, employ this strategy when you cannot get a better financial bailout. This is exactly what it sounds like. You, the homeowner with a foreclosure certainly coming your way, convey the deed of your home to the banker or the mortgage holder. This has to be done voluntarily. On paper, this strategy sounds like a great option but it has the same negative impact as foreclosure: your credit score takes a beating. However, you save your face the public humiliation that comes with foreclosure. · You indirectly allow the foreclosure to go on. You prove to the lender that you are not faking property. Your final distress is proven beyond any reasonable doubt. · On accepting the deed in lieu, a lender will have to pay a second or third mortgage before they can legally sell your house. These are time and financial inconveniences that any lender will not be ready to take. · The fear of a legal action on the basis that the homeowner did not know what was happening at the time. 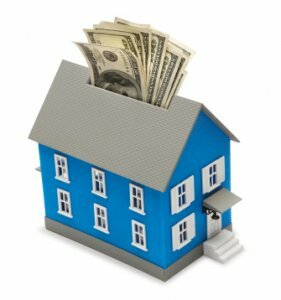 · The homeowner can vividly document his/her financial distress, voluntarily initiate the process and provide necessary documentation. 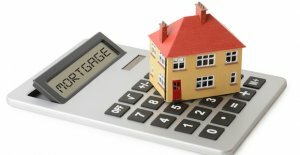 If you paid close attention to your mortgage loan terms, you must have seen the clause that it is not assumable. Instead, you noticed a “due on sale” clause, which means you are bound to entirely pay the loan when you sell the property. However, this can be changed when you face a foreclosure. You can persuade your lender to delete the “due on sale” clause. On acceptance to modify the mortgage terms, the loan is transferable to another buyer. You can then use your negotiation skills to persuade the buyer to part with a sizable down payment that you can use to settle the installments you had missed. Of course, the lender will subject the new buyer to a financial test before granting you the leeway. If done properly, this a win-win-win scenario for all the parties. couple of years. Who knows, your finances may be in good shape in a year or two. filings have failed to save homeowners from foreclosure. you should get ready to sell your home. The earlier you start the better since you will not be hard pressed for time. these strategies. 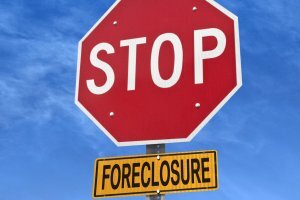 Thanks to this post, foreclosure is no longer the elephant in the room. Need to sell your house in San Antonio? Call us at (210) 547-7505 and get a cash offer right now!